Discover life on a South Tyrolean farm, stay in comfortable apartments and enjoy the dreamlike view! 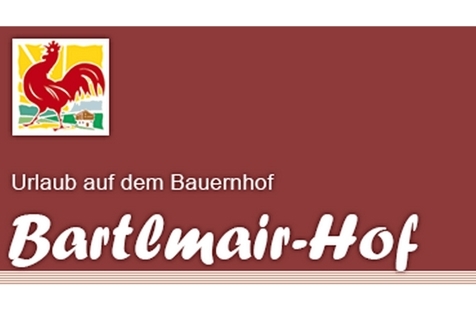 Welcome to Bartlmair-Hof farm in St. Georgen! Our Bartlmair-Hof farm is situated in a quiet position in St. Georgen, nearby the vivid centre of Bruneck. Here, in the middle of the green Pustertal valley, you will experience hearty hospitality, a wonderful panorama over the surrounding mountains and everyday like on a traditional South Tyrolean farm. For our guests, we offer inviting and fully equipped apartments with Dolomites view. They have approximately 51 square meters and are perfect for up to 6 persons. In addition to a kitchen living with stove, fridge, dishwasher, water boiler and coffee machine, the apartments offer two separate bedrooms, balcony, and bathroom with shower, WC and bidet as well as a sofa bed. Towels, kitchen and bed linen are available. WLAN is free for our guests and on request, we will bring you fresh milk and bread for breakfast. Our farm in St. Georgen is a paradise for families. We offer a spacious garden with children’s playground and sun terrace, a recreation room, many farm animals and you will have the possibility to help us with table work. Holidays at Bartlmair-Hof are characterised by a rich activity offer in the environs. The central position of our farm makes it the perfect starting point for activities of any kind, be it at Mt. Kronplatz, in the Dolomites or in Tauferer Ahrntal. Culture and shopping lovers will look forward to the vivid centre of Bruneck. With HOLIDAYPASS Premium, you will benefit from numerous advantages. The entry to the outdoor pool of Bruneck as well as to CRON 4 indoor pool in Reischach is free for our guests. 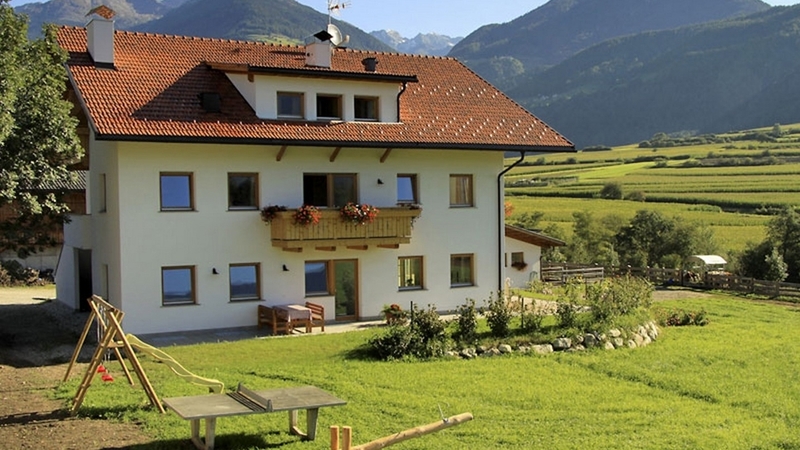 While at the Bartlmair Farm in St. Georgen, you will stay in completely furnished vacation apartments in peaceful surroundings and with a formidable view of the South Tyrolean Dolomites. Each vacation apartment is approximately 51m² (550 foot²) and is accommodates up to 6 guests. Each apartment features a convenient living room/kitchen combination, where you will find a kitchenette with electric stove, refrigerator, dish washer, electric kettle and coffee maker. The apartments are also equipped with cook and table ware, hand towels, kitchen towels, and bed linen. There are two separate bedrooms in each apartment, all have a bathroom with shower and WC, and some also feature a bidet. The couch in the living room/kitchen can also sleep two guests, if necessary.